Techland is working on two new games, and one of them is probably Dying Light 2. 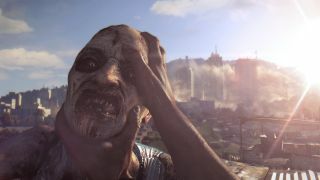 Eurogamer spoke with Techland CEO Paweł Marchewka earlier this week about its current developments, and both an apparent slip of the tongue and some logistical details and have all but confirmed a sequel for the open-world zombie slaying/freerunning game. First off, Marchewka namedropped a direct sequel when asked about Techland returning to the Dead Island franchise, which is owned by publisher Deep Silver: "We had a talk about it but I think Dying Light and Dying Light 2 would be games which are..." Marchewka said before his PR manager finished his sentence, saying the Techland-owned Dying Light brand was more important to the company. One of the two new games is being developed at Techland's Wroclaw, Poland studio, which was the studio behind the original Dying Light. Marchewka also confirmed that both of the new projects have been in development for about a year, which would roughly line up with the January 2015 release date for Dying Light (the whole team was probably not needed for post-launch updates and DLC like The Following). Marchewka refused to directly confirm whether the Wroclaw project was Dying Light 2, but it sounds like a safe bet to me. As for the project in development at Techland's Warsaw studio, it's an open-world fantasy game with RPG elements, and it will include both single-player and co-op support. Oh, and it's definitely not Hellraid, the studio's long-delayed fantasy first-person slasher. Whatever it turns out to be, both projects should be released "within three years".